Amavasya is new moon day in Hindu calendar. It is significant day as many rituals are performed only on Amavasya Tithi. 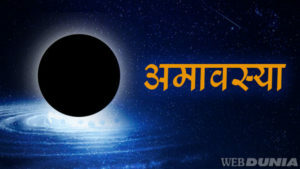 Amavasya falling on weekday Monday is known as Somvati Amavasya and Amavasya falling on weekday Saturday is known as Shani Amavasya.